« NFL pounds New Orleans Saints for paying bounties for maiming opponents. Will the NBA, NHL, NCAA, FIFA be inspired? This entry was posted on March 23, 2012 at 4:32 pm and is filed under Criminal justice, Ethics-general, Government, Leadership. You can follow any responses to this entry through the RSS 2.0 feed. You can leave a response, or trackback from your own site. Arggh. Horrible. There was one Challenger, one World Trade Center, one Pearl Harbor. There are thousands of kids of all races killed ever month. It’s foolish, intrusive and offensive for Obama to comment at all. And a terrible precedent, though I’m sure the next 40 or so Presidents will be wise enough to apply the same restraint that Obama’s predecessors did. Did Presidents comment on Medgar Evers? James Byrd? Matthew Shepard? Sharon Tate? No. They all understood their proper place. Aaargh. Kennedy should have spoken out about Evers. It’s his shame that he didn’t. I think Bush should probably have spoken out about Matthew Shepard. No to the others. This killing was different. For gosh sakes, the nation’s in an uproar over it. Obama gave meaning to the incident while protecting the integrity of the investigations. You got this one right, Bob. The national uproar and the potential for violence required that the President comment in a way that does not affect the investigation, but at the same time shows that he identifies with the community affected by this tragedy. He said nothing that hasn’t already been said by the family and law enforcement in Florida. I hope his statement has the effect of bringing comfort to the family and calming the community in Florida. Thanks, Jan. We’re in complete agreement. I think it’s an ethical duty of a leader to confront things he has a conviction about. A former USAF Chief of Staff said that when the leader passes by something without criticizing, he approves that as a new standard. I just don’t see how Obama could ethically have refused comment. What an asinine comparison. An ethical leader would preach calm in order the truth can be brought forward and discovered. There are usually two sides, and we have not heard enough to judge. I think it unethical for an old picture of the young man to be used to inflame, rather than a current picture that shows his true age – and with his dreadlocks – so a balanced view is afforded the public. I don’t think “asinine” adds to your point. Obama WAS preaching calm, and against a rush to judgment. He called the incident tragic, which it was, regardless of whose story you prefer. I searched the web and couldn’t find a photo of the boy with dreadlocks. But I don’t get your point–is it ok to shoot a boy with dreadlocks? How about sagging shorts? 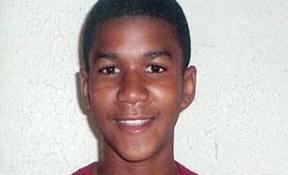 It is misleading to show a picture of a 12 yr old boy – making people think that was the age of the man shot. it helps build a case against the one who shot him, rather than the reality of an older guy. If you don’t think that is an ethical issue, you kid yourself. It is worse to think a young boy was a victim, and removes the possibility that an older guy may have had some culpability. The reality is that we do not know yet, and this mis-information clouds the issue. No, dreadlocks or saggy pants do not justify shooting — they are factors in public opinion, and they know it and play to it. That’s the problem. And Obama and other Black leaders know that too, but still choose to inflame the public through their rhetoric and un-based charges. My use of asinine relates to the comparison to tragedies such as the Challenger, WTC, etc. Pure rhetoric. Some are trying to inflame the public. Nothing that Obama said could possibly be meant to inflame–quite the reverse. That’s just wrong, Bob. What possible good can it do for POTUS to say “this could have been my son” and “he looks like me”? This personalizes a victim, and automatically takes sides before the facts are in. There are reports that a credible eye-witness—who is in hiding since he fears being fingered as the ally of the demon that shot Obama’s would-be son—gave credible testimony that Zimmerman was in fact attacked by Martin. Sure—could be bull, probably is—but we don’t know, do we? And if it turns out that the victim in fact did attack Zimmerman, Are Obama’s words fair and accurate then? You are saying they were correct because you are assuming…which you have a right to do. You also have a right to make public mistakes of judgment, but then you’re not President. Many of the public, still, after all evidence to the contrary, believe that whatever the President says is right and true, which is why he absolutely may not render his opinion about the decisions of other government officials on a local and state level. And if you concede that Obama’s statement was a mistake if it turns out that Zimmerman was in fact threatened, then you have to agree that it was a mistake whether it turns out he was threatened or not. Sorry, Jack, I keep reading Obama’s statement over and over, and I can’t see that he’s taking “sides”–beyond his empathy for the parents. Then Ethics Bob is blind to the power of position and words. One last comment and I’m done here . . . just where was Obama when Long Beach high school student Melody Ross was shot after a homecoming game? As an innocent bystander there is no question that her senseless death was tragic by all accounts. No potential good cause for her shooting. So where were these righteous calls for justice? Shhh . . . I can hear a pin drop. Jim, I live in LA and I don’t know about Melody Ross. The Martin shooting was/is a huge national story and Obama was asked about it at a press event. He might have answered in any of a number of ways, from “No comment” to “this boy is just one of many…” to the answer he gave. Almost every black person has known fear when he was where he didn’t “belong,” as Martin didn’t “belong” in the shooter’s eyes. And every black has the experience of being stopped while “driving while black.” This black experience, and what is known of the circumstances of the shooting, called for him to speak out as carefully and as eloquently as he did.